English Basic Saddle Pads are Pure ThinLine performance foam. Designed to be used over your daily pad and under the saddle. Why should you purchase a basic ThinLine pad instead of a shimmable ThinLine Pad? $ Price and Longevity– The ThinLine foam will remain functional for 7-10 years, depending on use. Basic pads will cost you less than $1.00 per month. Versatility– Basic pads may be placed over any other saddle pad and may be used on multiple horses. Maintenance– Basic pads require no care or washing. Half Pad or Contour Pad? Half Pads offer a discrete amount of protection directly under your saddle. Contour pads add protection under the stirrup bar and will help control left to right saddle slip. ThinLine absorbs impact by moving it laterally along the pad. Unless the price is a serious barrier, we suggest you choose the contour pad; the more ThinLine foam you have, the better it works. horses can balance and focus. It does not amplify the seat, it reduces “background noise” so the rider’s seat aids are clear. ThinLinePlus (1/4″) is designed for beginning riders, horses in high impact situations, or horses with sore backs. ThinLinePlus is endorsed by Veterinarians, even for severe back problems such as kissing spine. It is the #1 choice of Equine Chiropractors and Massage Therapists. All shimmable pads come with Ultra ThinLine sewn on the top. But, you can create the ThinLine Plus thickness simply by adding a Booster Shim. The top choice for many great riders. Kent Farrington rides every horse, every day in a ThinLinePlus Contour pad, and has done so for more than a decade. Riding over a lifetime can take its toll on a rider’s spine. Ultra ThinLine can drastically reduce the aches and pains that come from time in the saddle by moving shock, weight, and heat laterally along the pad without compressing. Horses backs also benefit from the 95% shock absorption and from having a quieter ride in the saddle. 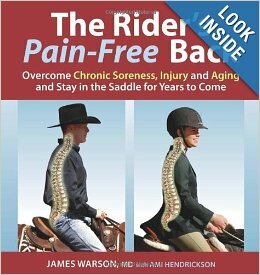 Ultra ThinLine is the only saddle pad endorsed by Spinal Surgeons – See The Riders Pain-Free Back” by Dr. James Warson.